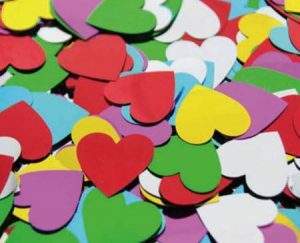 Heart sequins in assorted colours. Size approx. 17mm. Pack of 100gm.